The below Manifesto of the Catholic Laity was drafted by English Catholics twenty years before the Second Vatican Council’s Constitution on the Sacred Liturgy, Sacrosanctum Concilium. Dated Pentecost 1943, the long forgotten letter was discovered in the Archives of the Archbishop of Westminster, and appears as a footnote in Dom Alcuin Reid’s excellent work The Organic Development of the Liturgy (Ignatius Press, 2005, pp. 103-104). This articulate and heartfelt plea of English Catholics for the preservation of something as venerable as the liturgical language of the Roman Rite is still inspiring to read over seventy years later. It also serves as an important reminder that the “reformers” of the twentieth century Liturgical Movement were very busy in the decades leading up to the Council. Knowing as we do now that the words of this manifesto would have little impact, and that the liturgical revolution would commence in twenty short years, makes this an even more compelling read today. “We, the undersigned Catholic Layfolk, desire…to make known our true feelings with regard to the present controversy concerning the language used by the Church in her public worship. “We strongly resent the implication that we and our children are not sufficiently intelligent to understand the simple Latin of the Mass, and we declare our readiness to do all we can to equip ourselves with the necessary knowledge so as to be able to take a more active and intelligent part in our parochial Mass. 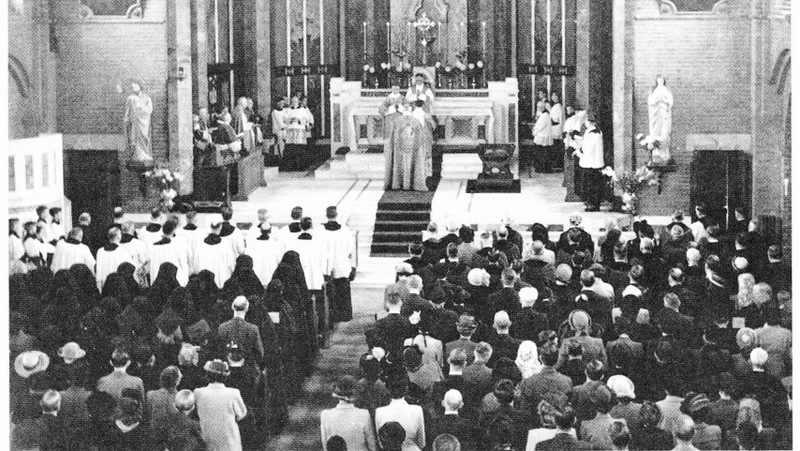 “We also respectfully petition our bishops to use their authority to make the teaching of simple liturgical Latin obligatory in all our Catholic schools, since we are convinced that such instruction would be of immense spiritual and intellectual value to our children and would help them to realise more vividly the supra-national character of our faith. These words are as relevant today as when they were first penned in 1943. Pray that many priests and bishops may read them now and take them to heart.